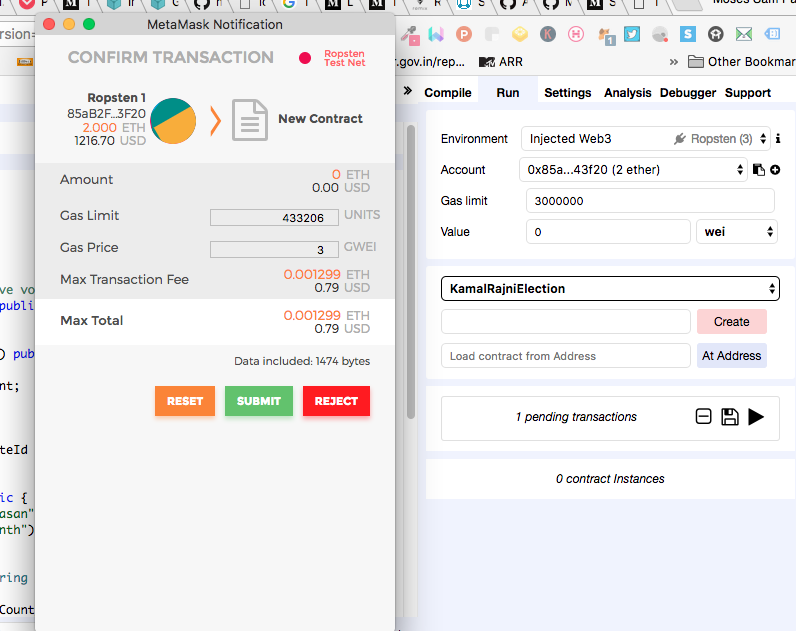 If you have read this tutorial you would know that the we used a local blockchain network called Ganache and used the truffle framework to deploy the smart contracts within a local test environment. This tutorial is the next step in understanding the different ets environments available to us. 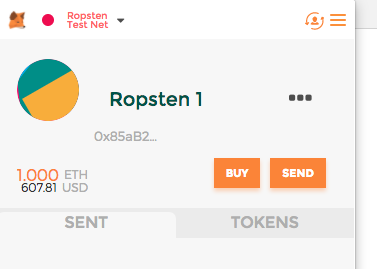 This post will guide you to deploy the same on ethereum remix IDE (IDE — Integrated Development Environment) on the Ropsten test net. 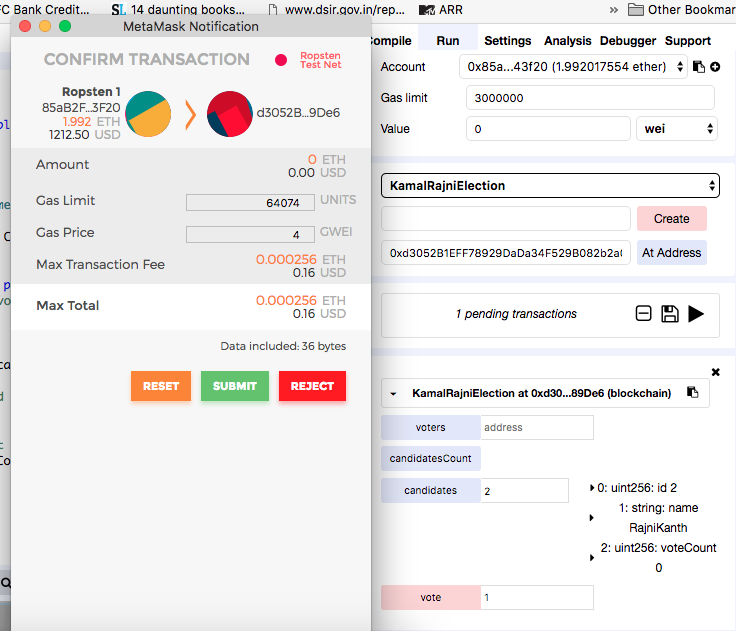 You don’t have to pay real ether to interact with the ethereum blockchain but you can get a feel of the real flow from an end-user’s perspective. 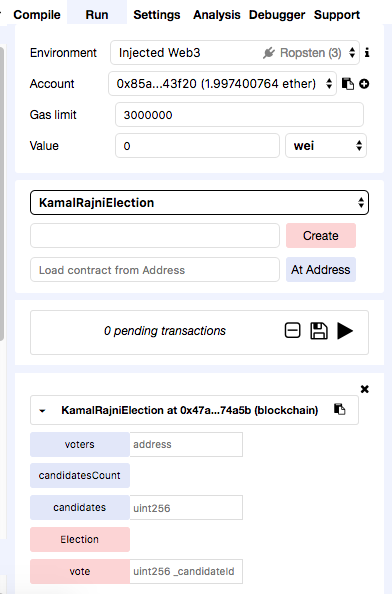 Copy the election.sol (smart contract) and paste it into the remix IDE. 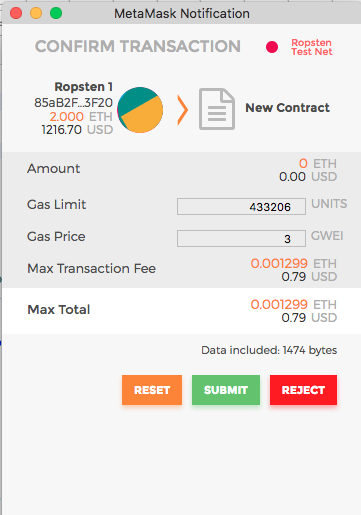 To deploy the contract, we need an account and with some ether on the Rospten test net. 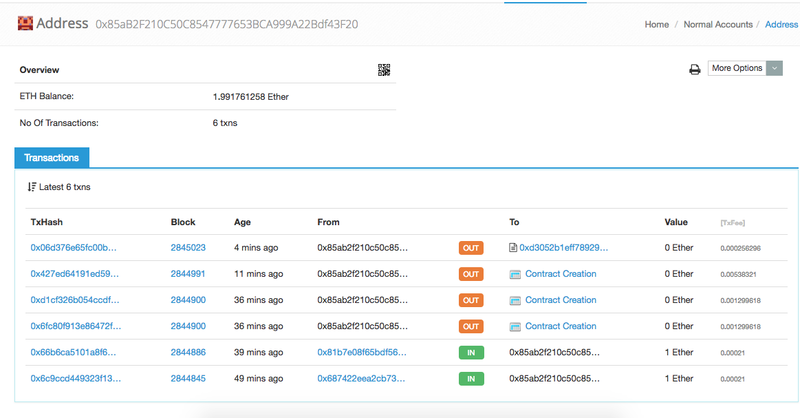 Request Free ether from here or here. 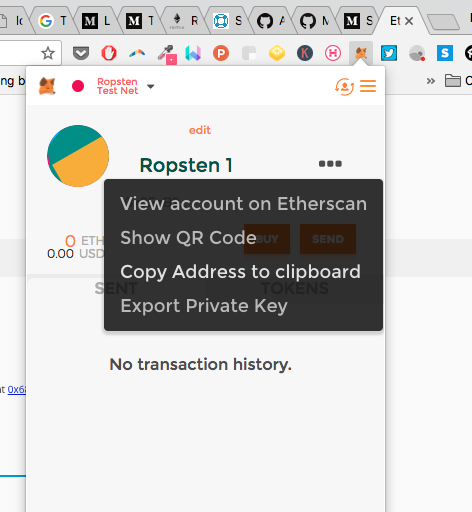 Paste the copied account address in text box and click on send me 1 test ether. 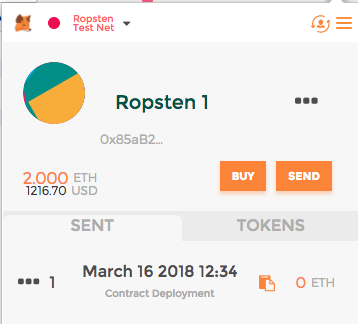 So now, we have the contract pasted in remix IDE, we have connected meta mask to the ropsten testnet with an account that has some ether. click on Run. 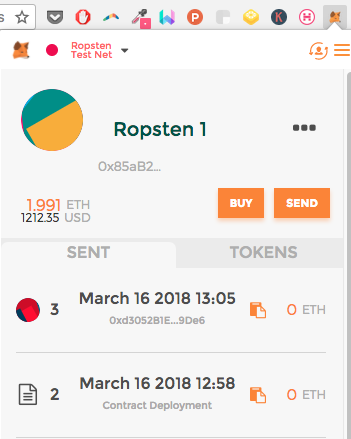 Select Injected Web 3 Ropsten under environment and the account in Metamask is shown here under Account with balance ether as well. 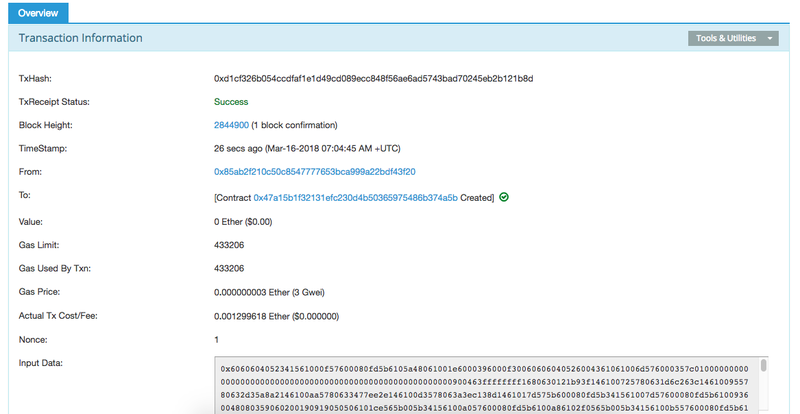 Click on the contract deployment — it should open up the etherscan page to look at our transaction details. 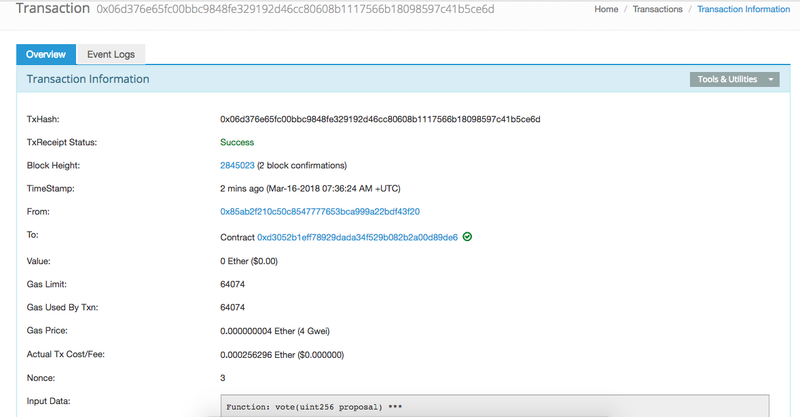 congrats, you have successfully created a smart contract! 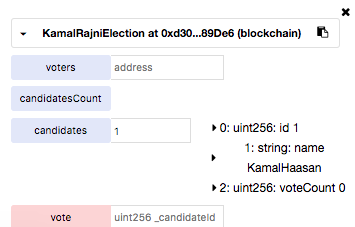 If you add 1 (candidate ID) near the candidates field ..you should get the details of candidate ID 1. And 2 would give you the second candidate details. 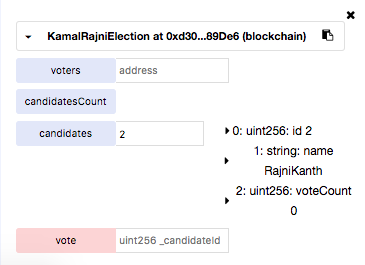 Vote / add data to the chain! Now that we know who is whom. Let’s try and Vote. 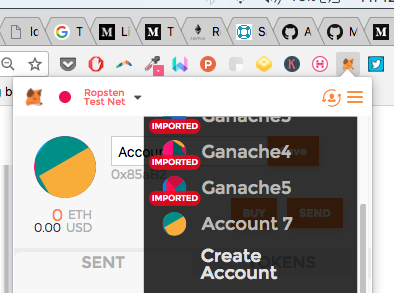 after few seconds, the Metamask extension shows me the transaction details. 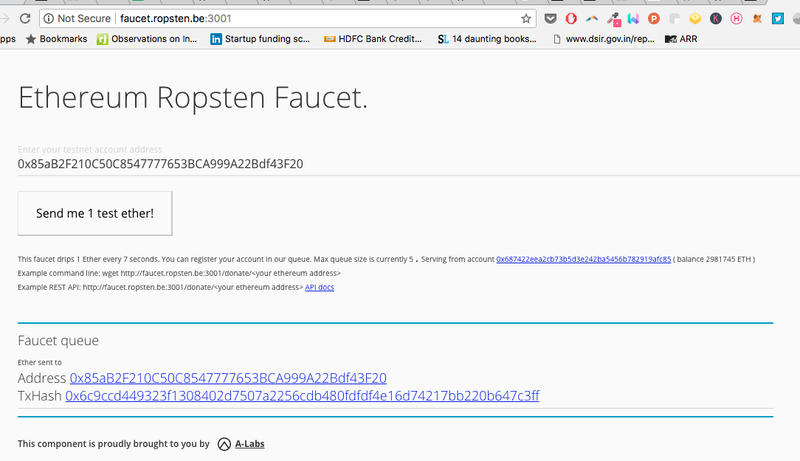 If I click on it..it should take me to ether scan. The Green INs are the ethers that have come to me from the faucets. The Orange OUTs are my spends. I have created the contract thrice and wrote on it once. 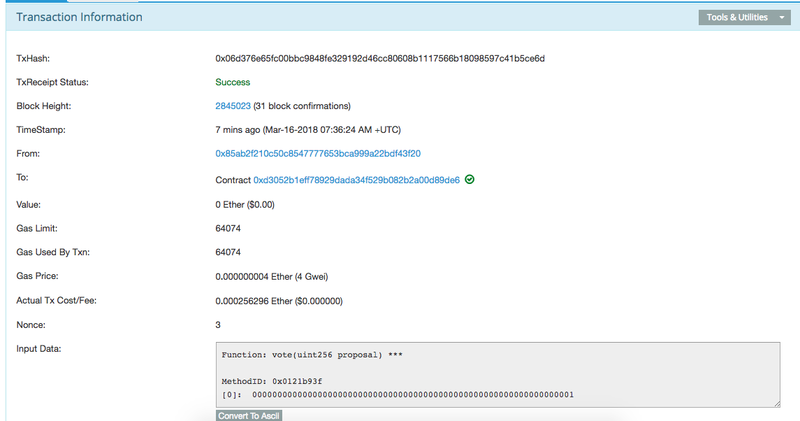 If I click on the first line item the vote transaction, this is what we see in etherscan. 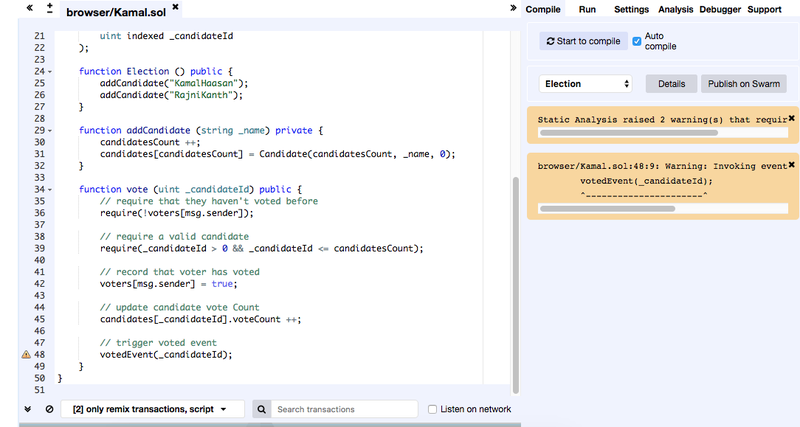 As you can see, the function vote was called. 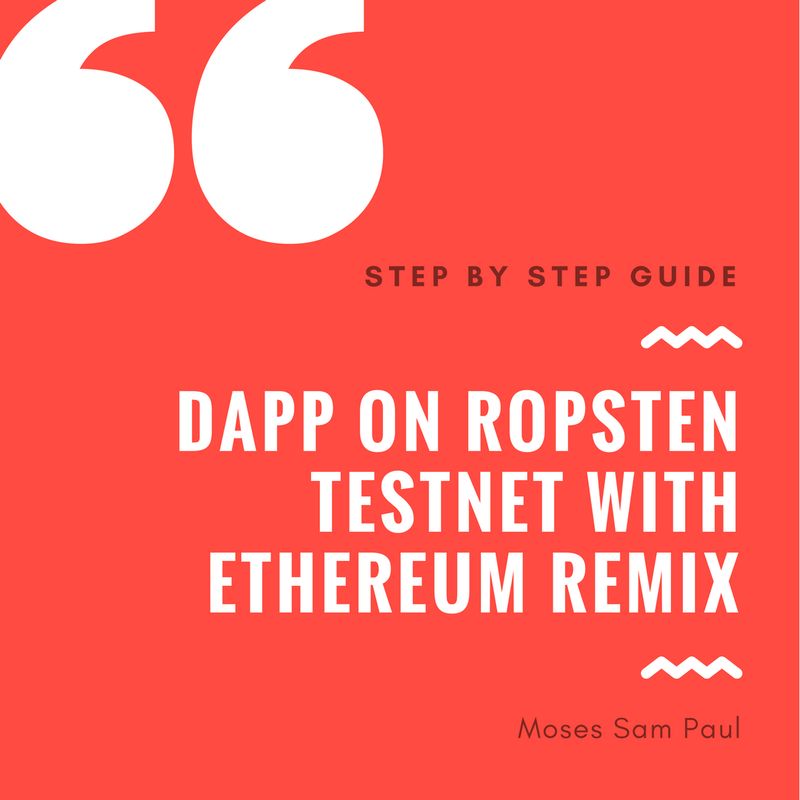 That’s it guys, this is the easiest way to deploy your smart contract from a local blockchain environment (Ganache) to the Ropsten test net using the Ethereum Remix IDE. 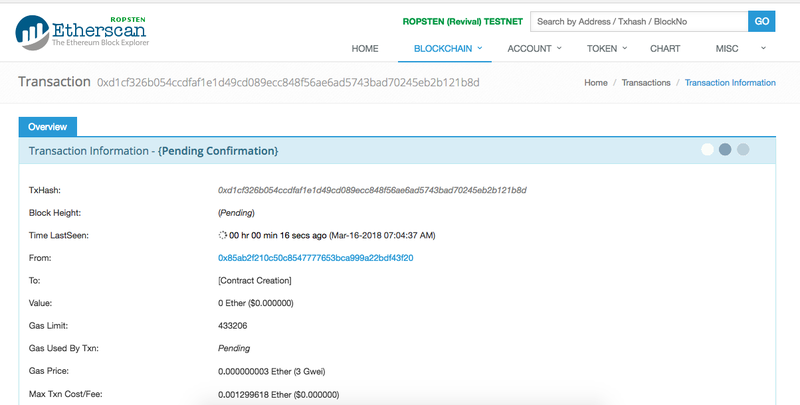 Have you guys checked out my ten chapter learning guide on Hyperledger?